Earlier this summer, Sony had officially announced two accessories for the PlayStation’s 20th Anniversary. For those of you who have been waiting to either get the PlayStation 4 20th Anniversary DualShock 4 Controller or the 20th Anniversary Edition Gold Wireless Stereo Headset, Sony has officially opened pre-orders for both accessories on the official PlayStation website. Retailers such as Amazon, Target, Best Buy, and GameStop will be carrying them in their shelves. As announced back in E3, the two accessories will be released in September. The accessories will be sold for $64.99 and $99.99 respectively. 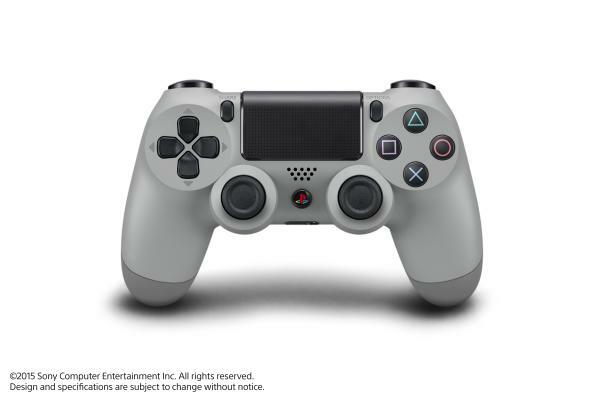 Both accessories will have the iconic sleek gray color and of course, the very first PlayStation logo that graced PlayStation consoles back in the day. We do not know if supplies are going to be limited like the 20th Anniversary PlayStation 4 Consoles or if they will only be available for a limited time. If you are interested in either accessory, it is advised to purchase them early before the supply is gone forever. Are you excited for either the 20th Anniversary DualShock 4 Controller or the Gold Wireless Stereo Headset? Do you plan to get one or both? Will you be pre-ordering these accessories? Share us your thoughts and reactions. Previous Post:Mid-Season Review: School Live!